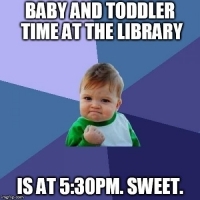 Baby and Toddler Time is a free evening pre-literacy program for babies and toddlers birth to 2 1/2. It combines lap bounces, songs, movement, and a story to build language and motor skills, followed by playtime. 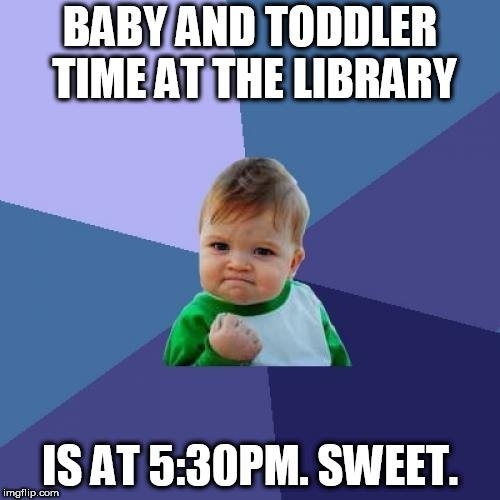 Baby and Toddler Time meets every other Wednesday at 5:30. It alternates with Evening Storytime.